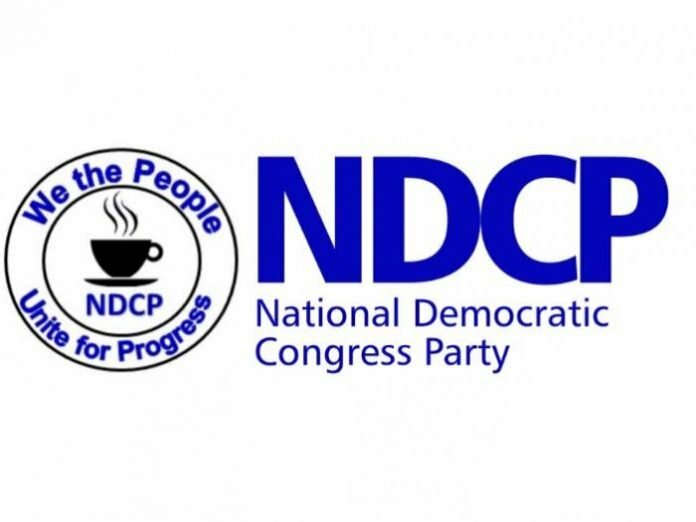 ● NDCP will implement a one Simple Payer Universal Healthcare System for all citizens. New and modern health facilities will be developed and processes implemented. This means an average Nigerian will have the same healthcare as someone in the Senate; that the President of the country has. ● A comprehensive education and training program will be implemented to give people the skills and talents to support the economy. ● The educational system will be reviewed from the child development support level to university level and world class best practices will be implemented to gain improvement in reading, writing, science, mathematics, technology, proficiency, productivity and efficiency. ● All trade and technical education will be free and designed to support the jobs of today and tomorrow. ● NDCP will design and implement a new leadership academy to train current and future generations of leaders. A tuition reimbursement program will be encouraged and supported. ● University and other higher levels of education will be reengineered to support a new and vibrant economy. ● United we stand and divided we fall. I believe that there is strength in diversity. When you take the diversity from the various areas and bring them into the unified process, Nigeria would be a stronger place. ● The brothers and sisters from the South, from the East and from the North and West, they are looking for a better life, jobs, good education for their children, good hospitals, and a way to guarantee their future. So it doesn’t really matter when people are agitating for Biafra, Oduduwa state or North Central, and so forth. They are just misinformed. ● Debt is a part of our national security. Because you are now beholden to another nation and they can come and foreclose on you at any given time. So you’re slaves to them. We will create a robust economy where our debt will be erased. For example, our dollar to naira ratio is 360:1. We want to make sure our dollar to naira ratio is head to head or better. ● How can you agitate for self-governance of police in a state when the entire police force is corrupt? When you have not provided the infrastructure or provided the wages for the police officer and create an infrastructure for an effective police to function, how can you agitate for self-control and self-empowerment of a system that is broken and does not even have a leg to stand on, and you want to turn that back to a state that has no resources? ● We will review and reengineer all government processes to eliminate corruption, nepotism and tribalism and increase productivity. ● The enforcement approach will stress payment of a fair wage for work performed and expect excellent customer service without bribery and corruption. ● Violators of the corruption, tribalism and nepotism rules will be prosecuted to the full extent of the law. ● We will provide a system of government that is accountable, where leaders will be accountable for their actions. One of the ways to strengthen governments is not just by arresting or taking money away from people. One, you have to strengthen the institution of government. Two, you have to reengineer work processes whereby all of the work processes are so tightened that when there is corruption you would be able to figure that out. Thirdly, you have to use technology to do a lot of the transactions so that when there is no manual intervention in the system, it is very difficult for people to take a whole bucket of money. 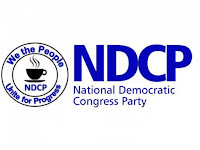 ● NDCP will promote diversity and inclusion through re-enactment, retention and development. There will be zero tolerance for discrimination related to tribalism, disability and religion. 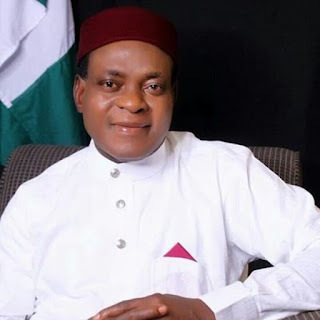 ● The best Nigerians from the north, the east, south and west and all of the geopolitical states will be put in power. ● First of all, people need to eat meat but people also need to live. So you cannot sacrifice human beings for the cow or sacrifice the cow for the human being. So you have to provide a space for them to be able to have their Agricultural products. And then they have to have licence and they have to be supervised. You cannot just allow people to be roaming around, shooting people and claiming that they have the right to do that. This is a country of law and order. ● You have to provide agricultural boundaries for them to graze their cattle. When you go down to all the geopolitical zones in Nigeria. You can create six geo political zones where in each zone, there are places where the herdsmen can be able to graze their cattle. ● There will be law and order in Nigeria. This will not be a country that will be run by hooligans. The issue of the herdsmen killing people, that is an agricultural problem of being able to create a system of consensus management. For example, we need the cattle to feed the people. But we don’t need the herdsmen killing Nigerians before they can eat cattle. ● The people that believe in law and order will be put in positions. This is not tribalism. The best Nigerians from the north, the east, south and west and all of the geopolitical states will be put in power. ● Right now, in every facet of Nigeria, you only have 15 per cent productivity and 85 percent of that productivity is wasted because they lack electricity to do their work. ● When it comes to power, all options are on the table. We want to look at solar energy, we want to look at wind, we want to look at hydroelectricity. And we also want to look at nuclear if we have to, just for peaceful use, not for nuclear weapon but nuclear electricity. ● One of the things we will do is to make sure that we select the best companies, some of which I have worked for during my career and then get them here within six months to go ahead and address the issue of electricity. ● We want to create at least seven million jobs per year. We want to create jobs for the suffering youths out there. We want to create the jobs in multidimensional facets, which manufacturing, healthcare, education, infrastructure, roads, bridges and so forth. ● That will be our number one priority. The first nine months of our administration will be youth mobilization. We need to provide training. A lot of the academic training we have is foreign, but we need cyber training, electrical training, mechanical training, electrician training, capital training and so on and so forth. And while they are being trained, we are providing the job of the future for infrastructure - airports, road, water, bridges, electricity - all of these things. So those people that are trained will be coming to a job they can perform. And while they are in that training, they will be paid some minimum wages. And once they get certification, they will be paid their optimum wages. So from day one, we will have a training programme for the youths to stop all of these problems where the youths are just floundering around and having nothing to do. ● We will reduce the tax burden for potential investors to 15%. We will pursue electricity to be 24 hours; build infrastructure that those people will be able to use to transport their goods and services and grant a 7 year reprieve to investors for some of our bureaucratic processes that have driven them away. ● NDCP will create a business environment that encourages domestic and foreign investment and provide infrastructure necessary for economic development. ● Attract investment and encourage entrepreneurship through enhancing our infrastructure, investing in our workforce, and modernizing our tax incentives. ● NDCP will invest in the development of current and future infrastructure required to support the economy. Those systems will include airports, roads, bridges, trains, social technology, stormwater management systems, cyber security system, defense system, police tools and world class national defense tools. On Agriculture: NDCP will invest in the preservation system for locally developed food and ingredients and expand focus on growing organic foods. Mechanized farming will be expanded to produce more than enough to feed the citizens. Local businesses will be given subsidized loans to promote and produce healthy foods. ● NDCP will set up Women Economic Empowerment Zones across the country. The zones will promote women businesses through finance, education and training. Opportunities will be given to qualified women businesses for contracts. Youth Development Programs will be implemented from child care to high school level. ● The youths are not lazy, they are energetic because youths of today are the leaders of tomorrow. When you are able to channel that energetic power that the youth has and put them to use, they become the leaders of the future.